SDLoopingVideoView is a looping video-view based off of AVPlayerLayer; it works great when used as a video background (see below for list of apps using SDLoopingVideoView). SDLoopingVideoView automatically scales any video displayed to aspect-fill the view you define; scaling can be set manually as well. 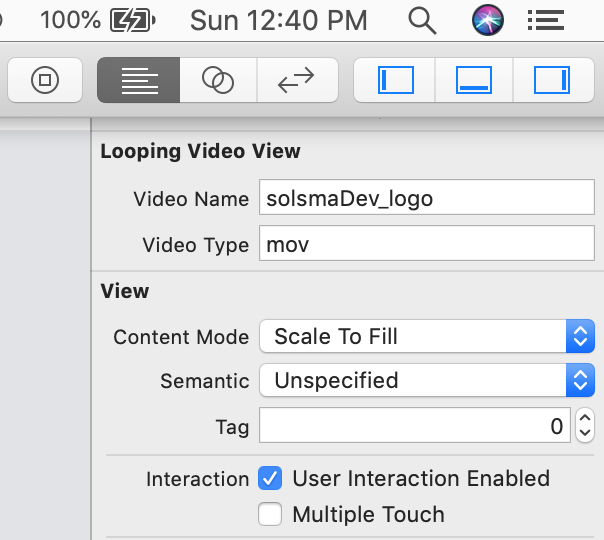 SDLoopingVideoView responds to any UIView animations and scales accordingly without interuption of the video playing. The easiest way to create a SDLoopingVideoView is to drag and drop a UIView in interface builder and set its class to SDLoopingVideoView. Then, under the attributes inspector tab, set the videoName property to the name of your video file and set the videoType property to the extension of your video file. If you’re using SDLoopingVideoView in a public app, email me ([email protected]) and I will add it to the list! SDLoopingVideoView is available under the MIT license. See the LICENSE file for more info.